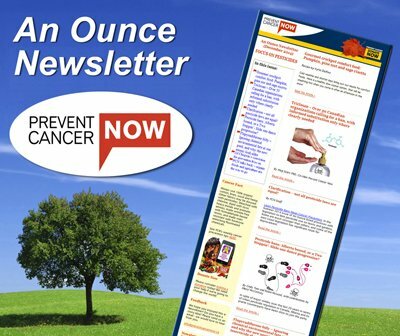 Prevent Cancer Now » What’s New! Hills of Erin Cancer Prevention Foundation Receives Charitable Status – PCN’s Board of Directors has been working hard over the past two years to establish a charitable foundation. We are pleased to announce our success! The Canada Revenue Agency confirmed that the Hills of Erin Cancer Prevention Foundation has passed all the requirements to become a registered charity. Why “Hills of Erin”? That’s where the first germ of our movement was born – at Liz Armstrong’s kitchen table. What this means is that donors will have the choice of funding PCN or the Cancer Prevention Foundation. Donations to the Foundation will go towards education and research, and will be eligible for a tax receipt. Because PCN devotes a considerable amount of time to advocating for change from our regulators and governments, we are not eligible for charitable status. Only a limited amount of lobbying is allowable for charities. Rather than hamper our efforts to make our world a safer place, we chose to establish a separate Foundation. We welcome you to contribute to either organization! Indoor Tanning is Out – UV radiation from indoor tanning beds increases the risk of skin cancer, including melanoma, the deadliest form of skin cancer. Recently, the World Health Organization’s International Agency for Research on Cancer moved sunbeds (UV tanning beds) up to the highest cancer risk category—group 1— ‘carcinogenic to humans’. Check out this excellent campaign by the Canadian Dermatology Association for more information. Welcome, Jake Cole, as PCN’s new Co-Chair! – A long-standing health advocate, Jake joined the Board of Directors of Prevent Cancer Now in June 2009. He has taken an active role as the Chair of the Fundraising Committee, leading efforts to secure a $30,000 grant from the Ontario Trillium Foundation. Jake has recently accepted the position of Co-Chair, working along-side Diana Daghofer to lead PCN. Watch the PCN website for details of events across Canada, from March-July 2010. Halifax’s 4th Annual Cancer Prevention Series – Beginning March 9, health professionals and environmental advocates will share their diverse perspectives on cancer prevention. This 8-week series offers practical solutions to reduce your toxic burden and generate wellness – for you, your community and the world!